Use a highlighter to add some angles to your cheekbones. Avoid highlighters for day looks as they might make you look over-shiny. Glittery eye make-up always looks great for an evening occasion. Especially a wedding! You can try deep colours like berry, wine, burgundy or maroon for an evening wedding. A classic red lip never goes out of style so feel free to don that look, if you like! Exaggerated, doll-like lashes can be worn for an evening look. Define and shape your features in flattering ways. 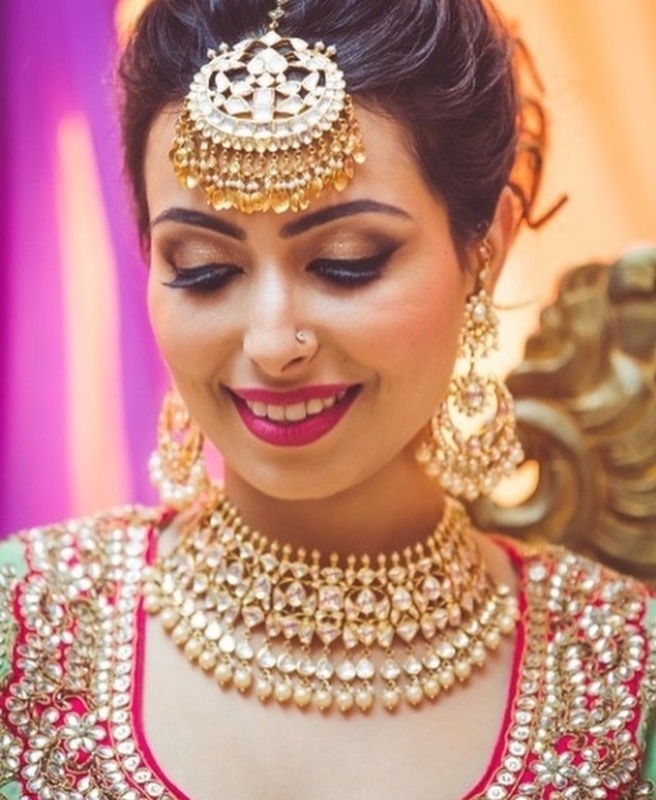 While a natural look suits a day wedding, contouring works well for evening weddings. Gold, silver, bronze or even coloured metallics. Try one that goes with your skin! You can use this look for eyeshadow or eyeliner. A smokey look with black or grey eye-shadow works great for your Sangeet or Cocktail night! Dual coloured lips look great if they’re done properly! Get an experienced make-up artist to do it for you. And you have to be careful not to ruin the lipstick as the night goes on.